Welcome to “Winter”! It appears unfortunately that Fall has already moved on. Hopefully you at least got a glimpse of the Fall Foliage. As it will be after Thanksgiving by the time you read this, may you all have had many reasons for which you gave Thanks this year! And speaking of giving Thanks, maybe we’ll be able to finally give Thanks that by the time you read this, the Election will finally be over. I know I will be very Thankful!! I suppose the biggest news is that the Democrats will control the House beginning in the 116th Congress. It appears they will have picked up at least 37 and possibly 40 seats when all the results are finally in. Here in IN, Democrats maintained their two House Seats and Republicans retained their seven Seats. This includes two new Congressmen – Jim Baird in the 4th District and Greg Pence in the 6th District. In addition, Republican Mike Braun defeated current Democrat Senator Joe Donnelly and will be representing IN beginning January 3rd. How the Democratic takeover of the House will affect ongoing NAHU positions and supported legislation is yet to be seen. It is possible that some version of Medicare For All may be moved forward but will most likely die in the Senate. 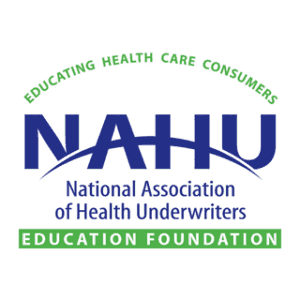 NAHU continues to push the following – return to a 40 work week rule, permanent repeal of the HIT tax and the Excise/Cadillac tax, allowance of COBRA as creditable coverage, changes to Medicare Advantage plans, employer reporting improvements, HSA changes, MLR exclusion, etc. It’s possible that some of this may be incorporated into the next Budget Bill that’s due by Dec. 7th. As always, continued Thanks goes to NAHU’s staff – eg, Janet Trautwein, John Greene, Chris Hartman and Marcy Buckner as they help direct the overall legislative process in D.C.
Republicans maintained Super Majorities in both the House 67 – 33 and Senate 40 – 10 and current Republican Auditor, Secretary of State and Treasurer office holders were re-elected. Democrats (House) – Representative GiaQuinta – Minority Leader, Representative Reardon – Caucus Chair and Representative Pryor as Minority Floor Leader. Republicans (House) – Representative Bosma as Speaker of the House (6th Term), Representative Steuerwald – Majority Caucus Chair and Representative Lehman – Majority Caucus Chairman. Democrats (Senate) – Senator Lanane – Minority Floor Leader, Senator Breaux – Assistant Minority Floor Leader and Senator Tallian as Minority as Minority Caucus Chairman. Republicans (Senate) – Senator Bray – President Pro Tem, Senator Messmer – Majority Floor Leader and Senator Merritt – Majority Caucus Chairman. In addition, Senator Charbonneau will head up Health and Provider Services Committee and Senator Bassler will head up Insurance and Financial Institutions Committee. Relationships with many of these individuals already exist, but there is need to establish relationships with some of the newer officials. Discussions continue on setting meetings with appropriate leaders in the Indiana house and Senate to discuss next steps on promoting Section 1332. The discussions will relate to the possible use of “risk pool” Federal and State funds to encourage more competition from a payer and plan standpoint. Use of non-compliant ACA product offerings is also a possibility. All new guidance from D.C. will be a part of discussions. Any updates on such discussions will continue to be shared. As I like to mention every month, the prevention of onerous Bills making it through the Legislature is due largely to ISAHU’s continued relationships with folks in the Governor’s office, Lt. Governor’s office and Statehouse that support our industry overall. These relationships also directly impact the efforts of our ISAHU Lobbying firm – Bose Public Affairs, plus the efforts of our sister organizations – Big I, PIA, NAIFA, Insurance Institute, IMA, IN Chamber and NFIB. And it also affects the ongoing efforts of several ISAHU members who continue to work on maintaining such working relationships with Legislators that may impact support for any legislation of assistance or detriment to the industry. Work continues on setting dates for meetings with appropriate House and Senate Insurance Committee Chairs and officials to discuss Section 1332. Previous meetings on Section 1332 took place with the Insurance Commissioner which laid the ground work for such meetings. It is hoped that this will result in possible exemption filing by the Governor in the next Session. Updates will be provided as more is known. The Legislative committee continues to identify specific individuals to be responsible for various product areas of the industry which should lead to better information sharing on an ongoing basis. This process is scheduled to be completed by the end of the month. As far as the Fall election season, I hope that a goodly number of you got involved at some level with both State and Federal office candidates. Being a part of the process can serve to promote NAHU and ISAHU solutions that are desperately needed. If you ever need or desire more information on how to go about this, please feel welcome to reach out at any time. Hall was fortunate enough to attend various political events leading up to the election that included meeting with many State House Office Holders as well as Federal Office Holders. And of course meeting with numerous candidates at all levels was a part of such events on November 6th. NAHU staff will continue to be a vital part of ongoing discussions during this 115th Congress. Details are provided in the Washington Updates each Friday. Please be sure to read them which will assist you in responding to your client’s issues. As always, I would ask you to remember to thank the countless NAHU members around IN and the Country as a whole that continuously put in long hours to ensure the best information possible is being shared with Legislators, HHS, CMS, IRS, DOL, DOI’s and of course other NAHU members. As you know, much of this is always done in anonymity and solely for the benefit of the Association, our members and the general public. And as always – ongoing THANKS to all the Local Legislative Chairs who serve on the Legislative Committee as well as those that serve on other committees. Your service is vitally important and greatly appreciated. Ongoing simple message – If you are not participating in both PAC’s – HUPAC – our Federal PAC and ISAHU-PAC – our State PAC, then PLEASE do so! Both PAC’s help support activities that really do make a difference in the ongoing legislative battles. Information can be found on the www.HUPAC.org , www.nahu.org and the www.ISAHU.org sites. I and the rest of the ISAHU Legislative Committee greatly appreciate the opportunity to work with you to continue to promote real market based “healthcare reform”. Please feel welcome to contact any of us at any time. 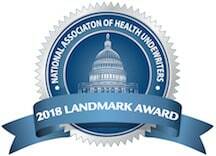 Thanks for all you do to improve the healthcare system for your clients and the general public!